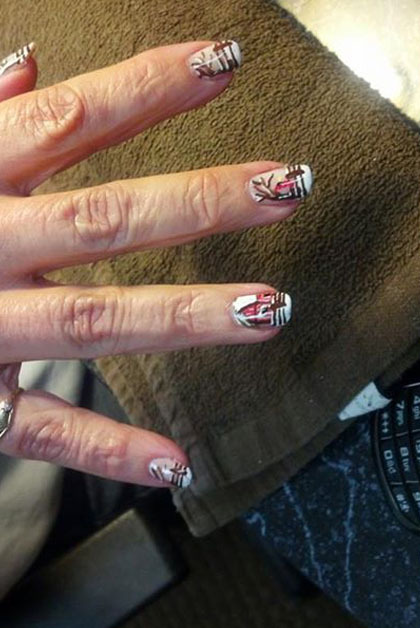 Do you love long nails but have trouble growing them out? Do your nails crack, chip and break no matter what you do? Nail extensions both lengthen and strengthen existing nails, making nail extensions an easy way to both protect your nails and enhance your natural beauty. Nails are a small but important part of your look – so why settle for plain, solid colors on your nails? From intricately detailed scenes to simply elegant accent fingernails, there are endless possibilities to fit your style. Pamper yourself with a luxurious manicure or pedicure. Hands and feet get dry and chapped over time, but regular treatment can repair or prevent damage before it occurs. Rejuvenate your skin and treat yourself at the same time with a relaxing, restorative manicure or pedicure.